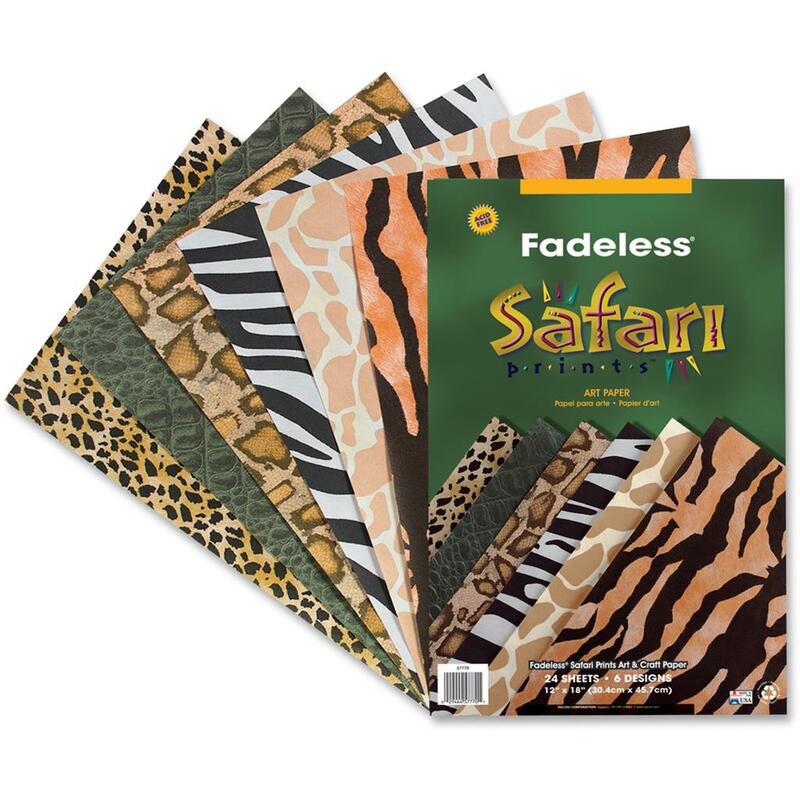 Fadeless Safari Prints provide the look of real animal prints. These fade-resistant patterns are perfect for scrapbooking, crafts and display needs. Assortment contains six exotic animal prints, including: Tiger, Giraffe, Zebra, Snake, Alligator and Cheetah. Acid-free paper is recyclable.